The Met Council Needs Your Voice! The Met Council needs your voice! The Metropolitan Council seeks to appoint six advisors to the Transportation Accessibility Advisory Committee (TAAC). We look forward to having a good group of candidates to fill this important role in the metro area. 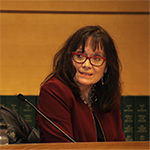 On Tuesday, March 12th, MCD Executive Director Joan Willshire testified in front of the Senate Transportation Finance and Policy Committee regarding SF 2173. 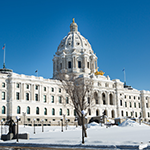 This bill establishes provisions for autonomous vehicle testing in Minnesota. Even when cleared off the street, snow and ice can cause challenges for people with disabilities. Sidewalks, and especially curb ramps, must be cleared if everyone is to have access to their communities. Civil rights for people with disabilities have made tremendous progress in the past several decades, and many of those battles happened because of Minnesotans. 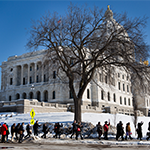 This week, MCD presented a funding proposal to the House Legacy Committee meant to capture the legacy of Minnesotans with disabilities. Gov. Tim Walz introduced a bonding proposal this week that included $19.5 million towards making our state parks accessible for Minnesotans with disabilities. The Council applauds this recognition of a critical need and urges the Legislature to strongly consider this proposal. Public Policy Director Kody Olson also provided testimony regarding the accessibility of our online world. This week, Gov. Walz’ Administration released their budget proposal, highlighting significant investments in many different programs for Minnesotans with disabilities. Other initiatives the Council is supporting include bolstering accessibility standards in assisted living facilities and developing recommendations for providing notice to business owners regarding compliance with the ADA.